This amazing Catholic venue stands in a breathtaking position overlooking the Amalfi coast. 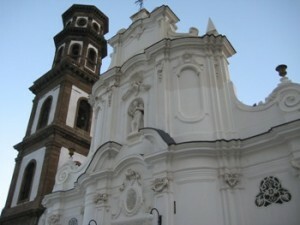 Originally built in the XIII century it presents a beautiful white baroque facade and a square bell tower. A perfect venue for an incredibly romantic wedding.